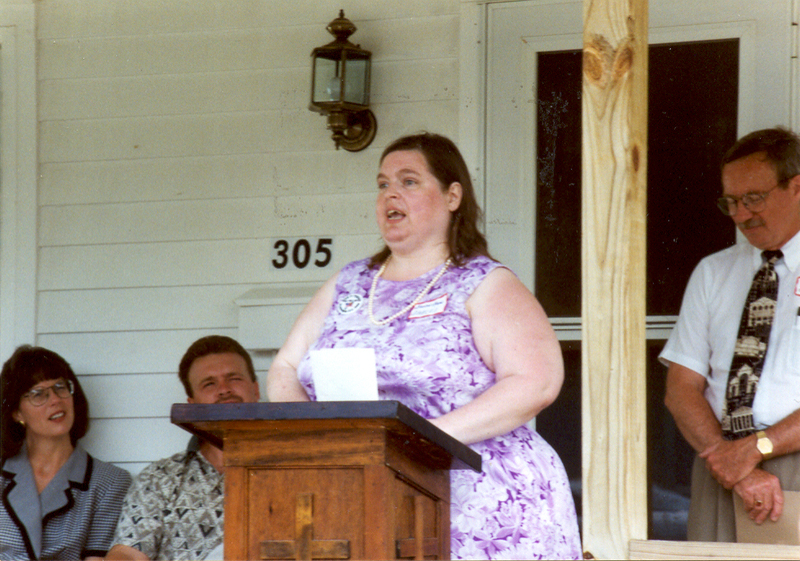 This is an undated photograph of Darcus Nims (1957-2008), a member of the Back Home in Indiana Alliance Steering Committee, speaking at a National Home Ownership Month (June) celebration in Greencastle, Putnam County, Indiana. Darcus lived in Indianapolis and founded the statewide self-advocacy organization for Hoosiers with intellectual disabilities, Self-Advocates of Indiana (SAI), in 1990. She was president of SAI at the time this photo was taken.